Water for Life: World water day 2014. This year World Water Day is on the 22nd March and to mark this day at KCK we are highlighting our recent water project in the community of Namavundu. We at KCK partnered with the Long Well Walk back in October 2013 to provide a well for the people of the village. 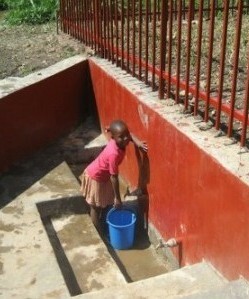 Prior to the opening of the well the people of the village had resorted to using unsafe and dirty water from a swamp in the area. We want to reiterate our thanks to the Long Well Walk for partnering with us on this project. We continue to work with many communities who lack access to good clean water and we are looking for individuals and organisations that would like to partner with us on our next water project. If you would like to support us please contact info@kidsclubkampala.org. Older PostBeing Community Led and Community Driven!